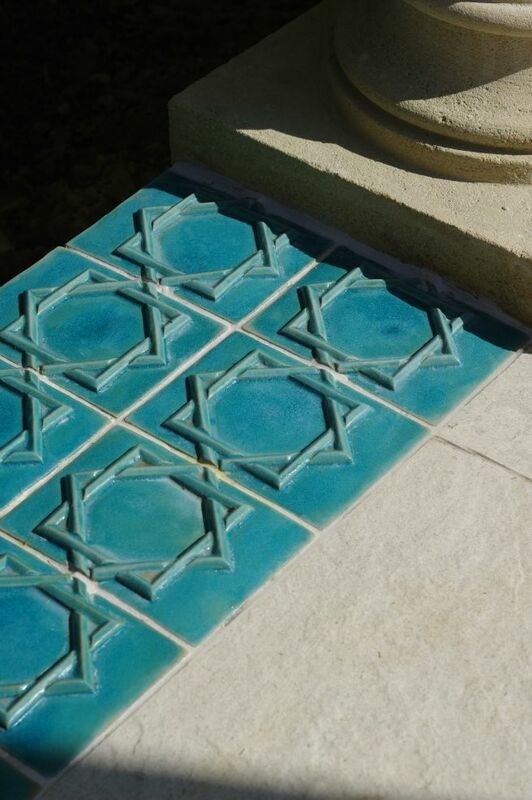 Tiles of Stow - Stoneware - Hand made Breath of the Compassionate Tiles and hand painted Majoila Tiles for an Andalusian Pavilion. 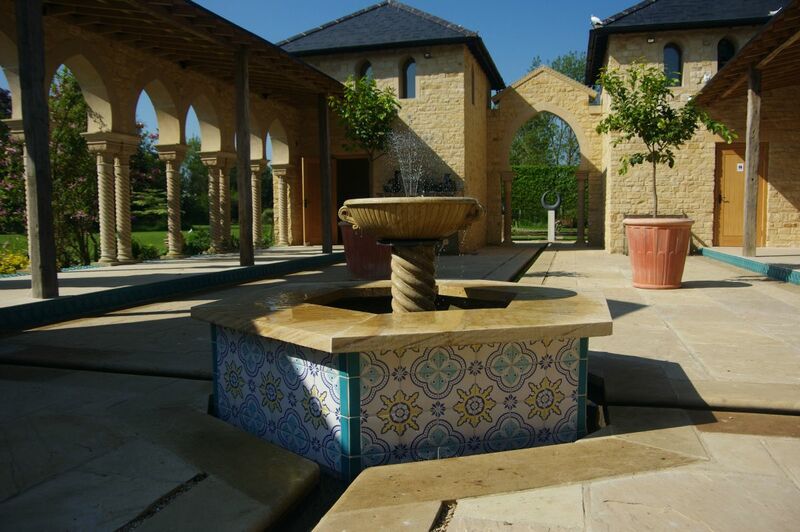 Andalusian sunshine comes to the Cotswolds! 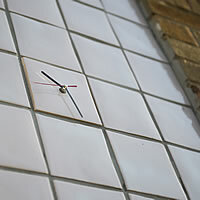 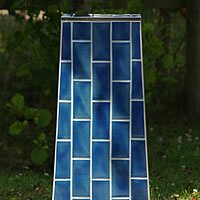 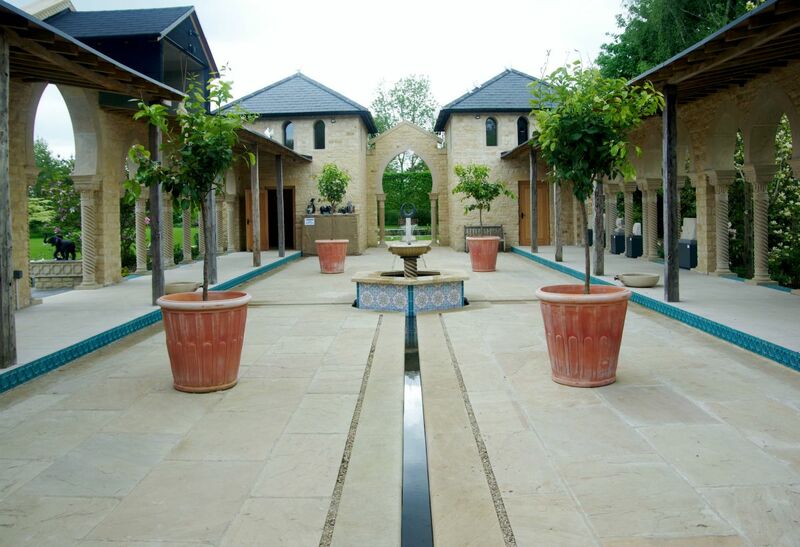 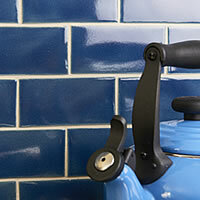 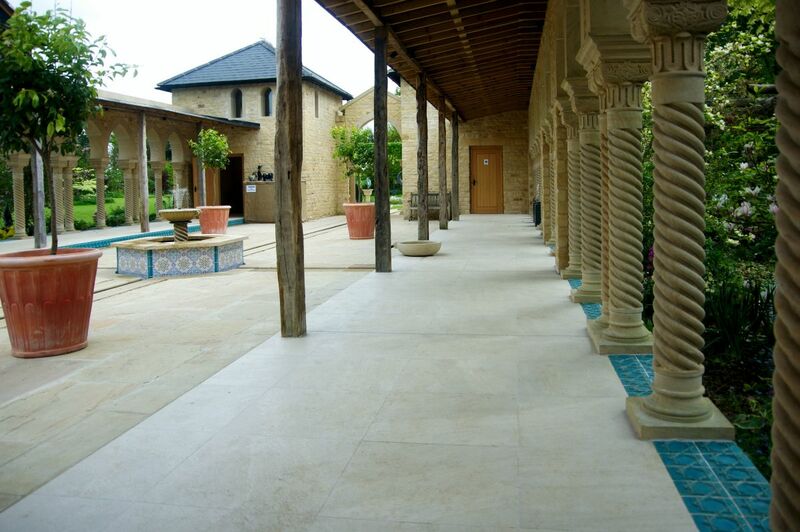 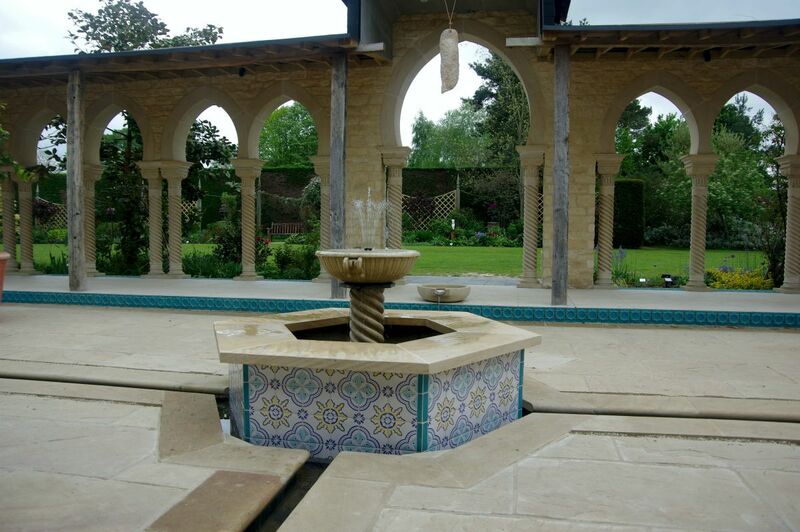 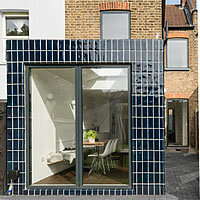 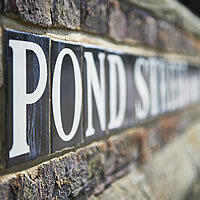 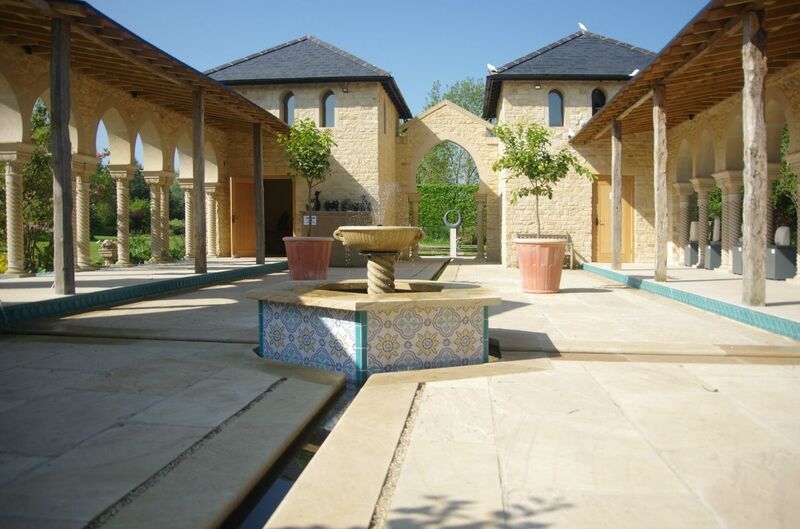 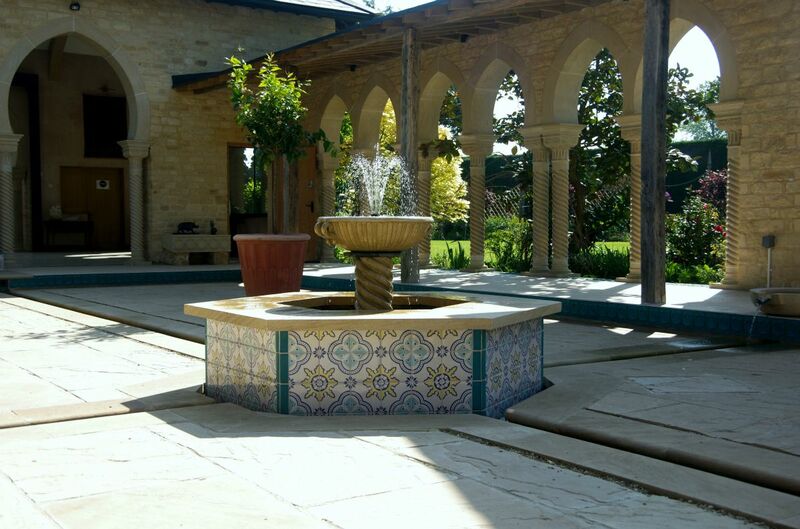 The new pavilion at Kingham Lodge features our most ambitious set of relief and decorated tiles we have produced. 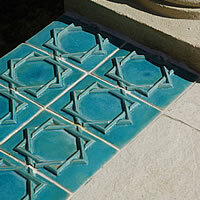 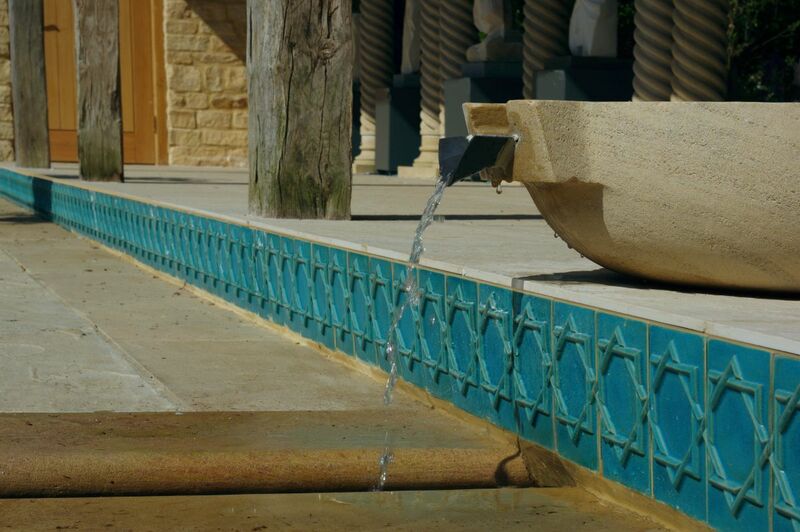 The breath of the compassionate star design is a particular feature as it encloses the courtyard with a band of brilliant turquoise tiles. 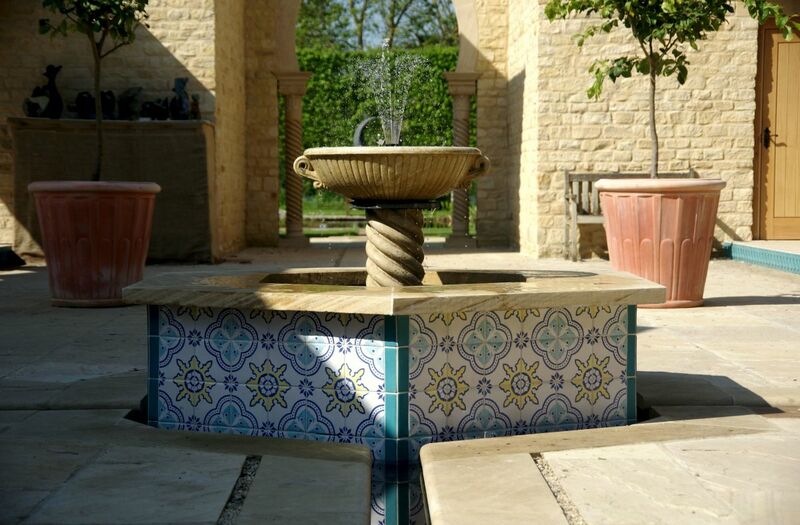 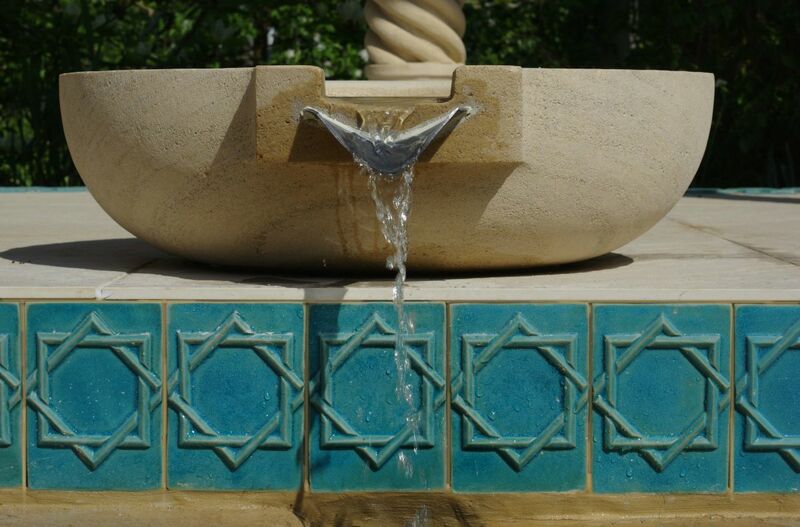 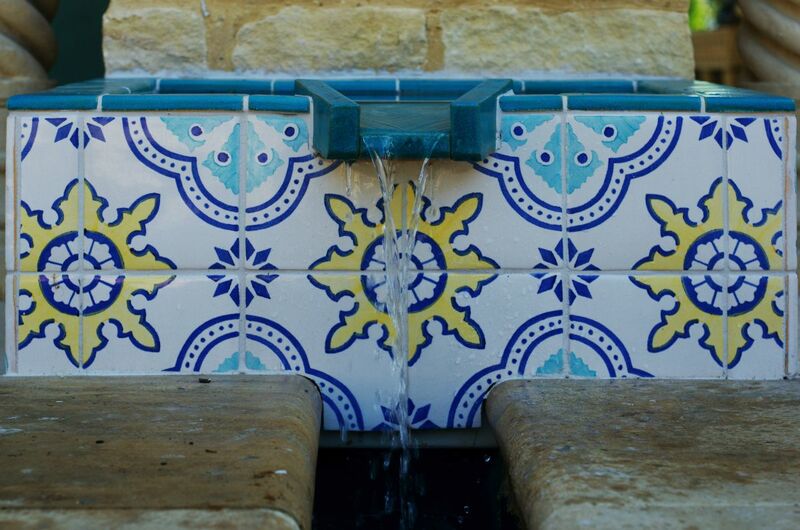 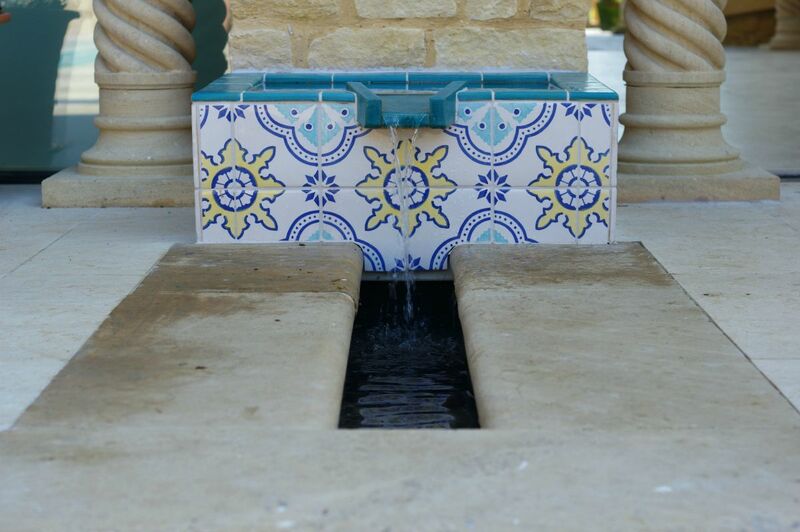 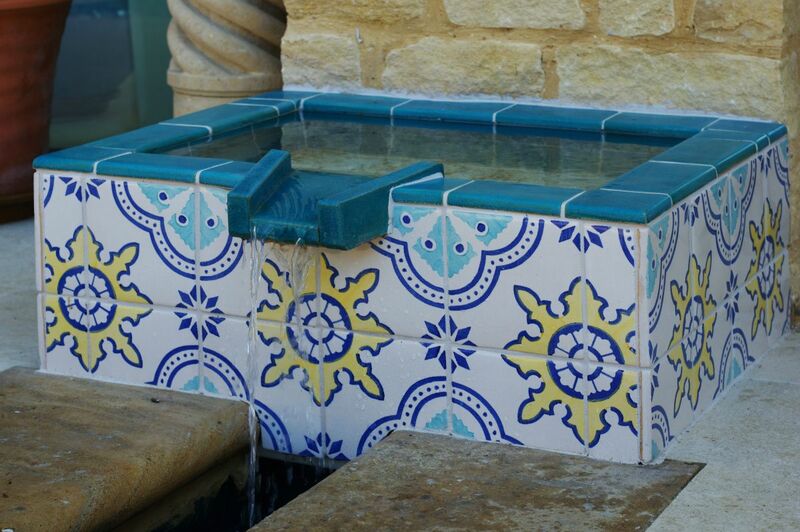 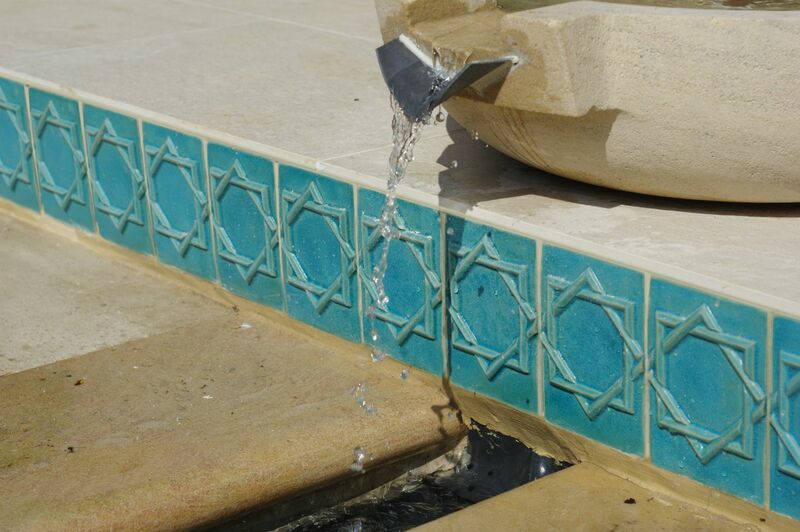 The hand painted majolica tiles surround the central fountain which is complemented by the same design on one of the basins supplying water to the courtyard rills. 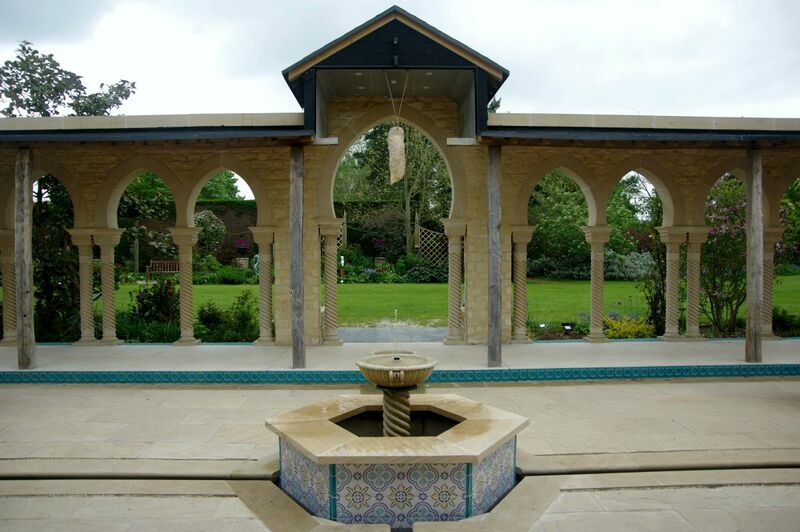 The Pavilion was opened on the 4th May for the Sculpture in the Garden at Kingham Lodge exhibition for Oxford Artweeks. 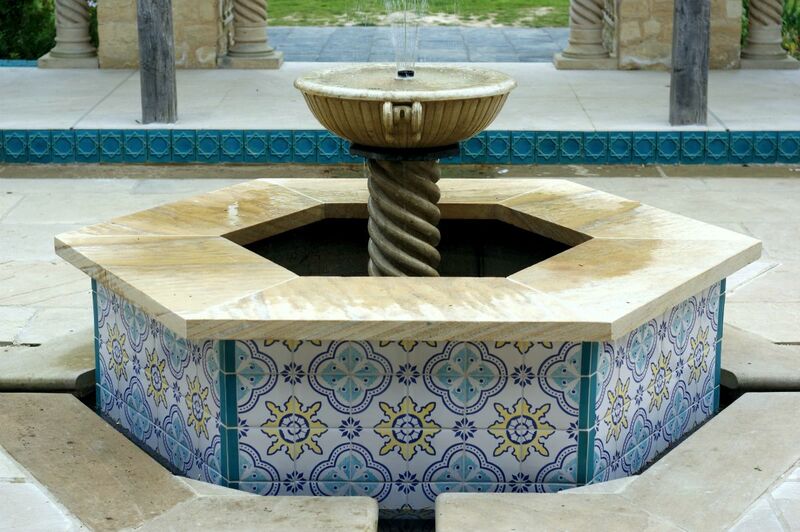 More than 6000 people visited the Pavilion and gardens during the exhibition.